She didn't say that they had to be normal! By the way.. the gathering has been mvoed from Dallas to about 10-20minutes outside of Forth Worth. Hmm... wonder if he can help me find my sanity. There was a time in my life when I was sane.. many many years ago. Probably a good thing I lost my sanity, too many people would be dead due to their stupidity if I were sane. Yes!!! We finally have a grinning smiley face here! My posts can now be complete! I'll let you know when they get more specific.. this is a bunch of chicks, you know how getting specifics goes in that regard. And where the heck have you been? I was getting read to send SAR looking for you. Post subject: Re: Is there a Bermuda triangle in this place? SAR couldn't find me. I was in the middle of nowhere....and it was great. Looks like where I'm heading off to next week!!! From what I'm told,it's about an hour south of Fort Stockton. Yeah, that's not too far. 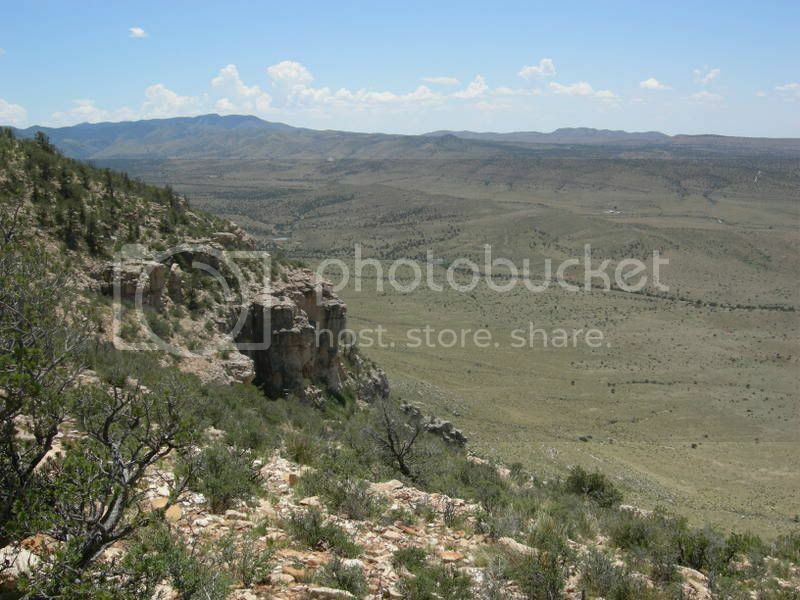 This was in the Guadalupe mountains, which is just above the western most part of Texas. I've been to Fort Stockton once. What are you looking for down there? The same ol' same ol'...in search of Blacktail,Mojave and Western Diamondback Rattlesnakes. Hopefully the occasional Trans-Pecos Copperhead. Sounds like fun! I kept an eye out for all animals, but I only saw one snake. Looked like some kind of racer. Also saw deer, rabbits, birds, lizards....things like that.